Majority of the Intel revenue is generated by selling server class processors not by selling desktop processors. In the server processor market, Intel controls massive 99% portion and other chip makers such as AMD or ARM based Qualcomm are next to nothing. 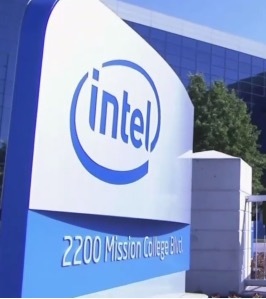 But a recent disclosure of major design flaw called ‘Meltdown’ in Intel’s architecture which is being used in its CPU is now responsible for wiping out Intel’s 11.3 billion $ in market value. Meltdown issue is basically called as it is due to the fact that after this issue is patched by Intel the performance of the CPU is expected to go down by up to 30%. It is definitely a ball park figure and will not be applicable on all usage scenarios as stated by Intel in latest press release. It will basically be a technical explanation. In its current implementation the processes which are being run under a particular user in the OS CAN interact with the Kernel memory. Kernel memory is basically the memory block where your OS is doing its own tasks. So yes its critical and when we came to know that normal user processes can interact with such a critical memory block then it id definitely a matter of concern. Intel decided to fix this vulnerability by isolating the memory blocks for Kernel and user processes. Doing this is an expensive operation as it involves something called as context switching and there by will reduce your CPU’s performance by up to 30%. Spectre on the other hand is something which affects intel, AMD and ARM architectures. Next PostNext AMD continue its attack on Intel by revealing Ryzen 2 CPU.